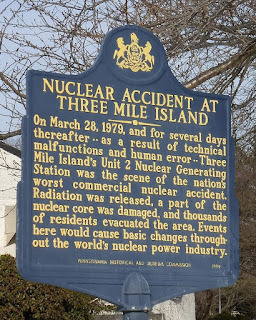 ON THE MORNING OF 28 MARCH 1979, pumps feeding water into the steam generator at Three Mile Island’s No.2 (TMI-2) nuclear reactor near Harrisburg, Pennsylvania, USA, failed. Emergency shutdown systems appeared to have worked correctly - but they hadn’t. Like all nuclear power plants, TMI-2 used the heat energy produced by nuclear fission reactions to turn water into steam. Just like a power station burning coal or gas, the steam pressure then turns a turbine that spins the electrical generator. However, nuclear fission doesn’t just generate energy. It also produces dangerous waste products like radioactive caesium, iodine, strontium and plutonium. Some remain highly radioactive for hundreds of thousands of years. 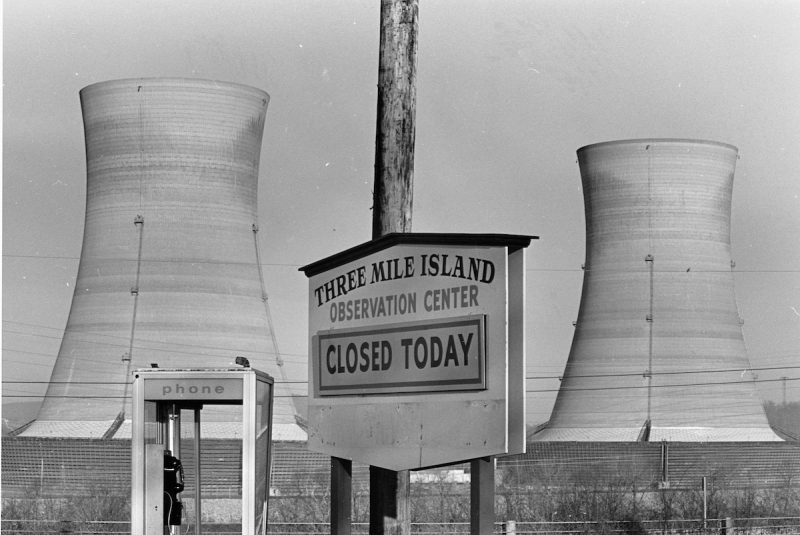 Unlike the later disasters at Chernobyl and Fukushima, a major release of radioactivity was avoided at TMI-2 - but only just. For 16 hours, plant operators struggled to make sense of their instrument readings. A faulty control panel meant they didn’t realise that a safety valve had jammed open, allowing coolant to escape and the reactor core temperature to soar. 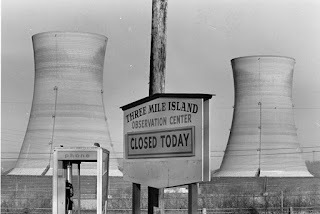 The advocates of nuclear power then tried to reinvent fission as ‘green’ energy since, unlike burning fossil fuels, it does not generate the greenhouse gases that cause climate change. However, the 2011 Fukushima disaster then provided another deadly reminder of the disastrous consequences of systems failure in a nuclear power station. The disaster at Chernobyl was a product of an impatient, unaccountable Soviet Union bureaucracy pressuring technicians into a reckless experiment aimed at speeding up repair times. Fukushima was the product of a reckless private operator, the Tokyo Electric Power Company, ignoring the risk from tsunamis and earthquakes. 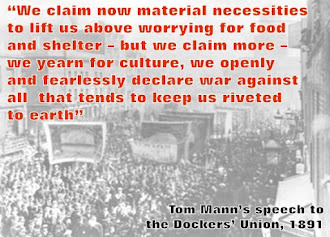 But could these risks be avoided if nuclear power was part of a nationalised energy system under workers’ management? They can’t just be dismantled like an old factory. The radioactive material has to be safely and securely stored for many thousands of years before its contents could be safe to release into the environment. A 2018 government report estimates the cost of cleaning up just the UK’s 17 nuclear sites could be over £200 billion. The fact that only one new UK nuclear power station is under construction, Hinkley Point C in Somerset, is because the economics of nuclear power are now so clearly flawed. This white elephant, a legacy of New Labour's Tony Blair and Gordon Brown’s support for the nuclear industry, will, if its technical flaws are overcome, end up being the most expensive power station ever built. The cost will be met by bill payers through a deal that guarantees that EDF will be paid about twice the actual going rate for the new reactor’s electricity output. Not everyone has struck lucky like EDF. Hitachi and Toshiba have pulled out of their plans to build other new nuclear power stations planned for Wales and Cumbria. 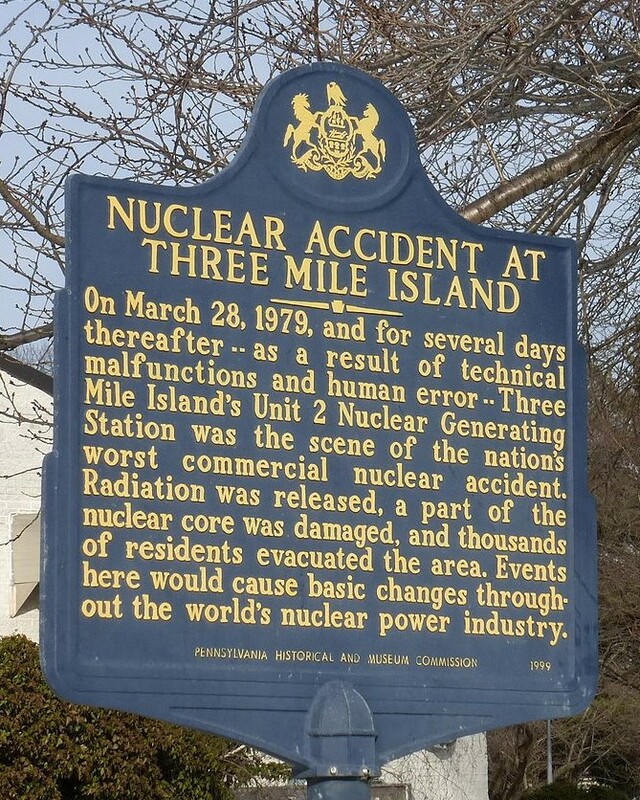 In Pennsylvania, the remaining Three Mile Island No.1 reactor is itself facing shutdown this year - not through any accident but because it’s been making a financial loss.